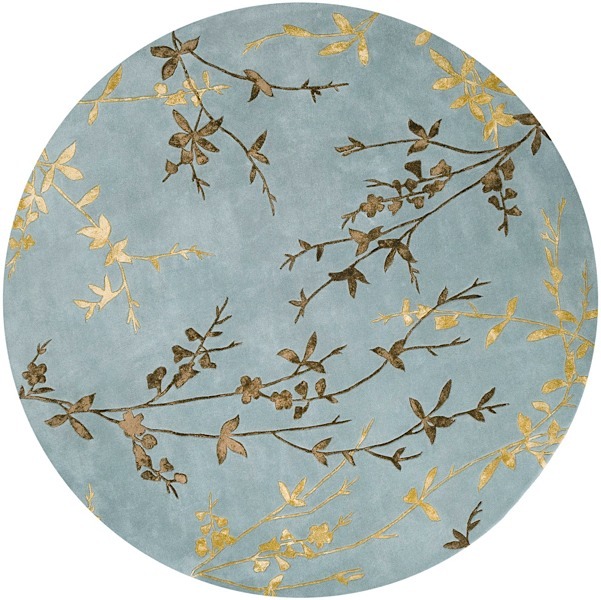 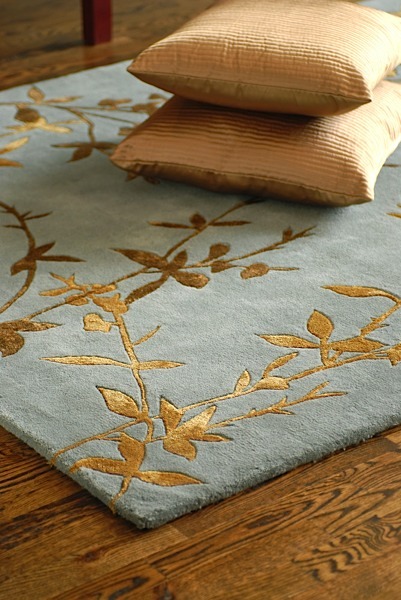 The Flora Rug will add sophistication to any room! The delicate pattern adds a unique balance of floral and minimalist style. 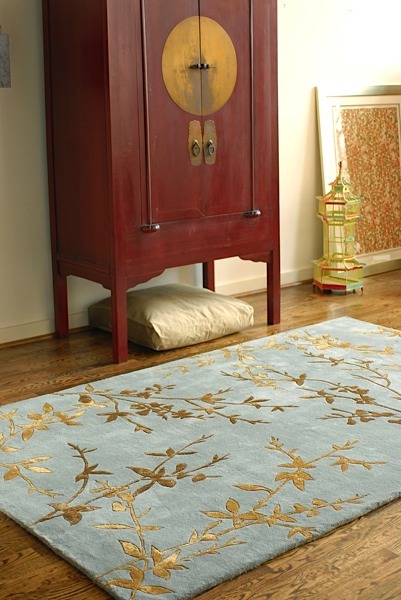 Made with a mix of wool and art silk, this rug produces a luster that only high end rugs radiate. 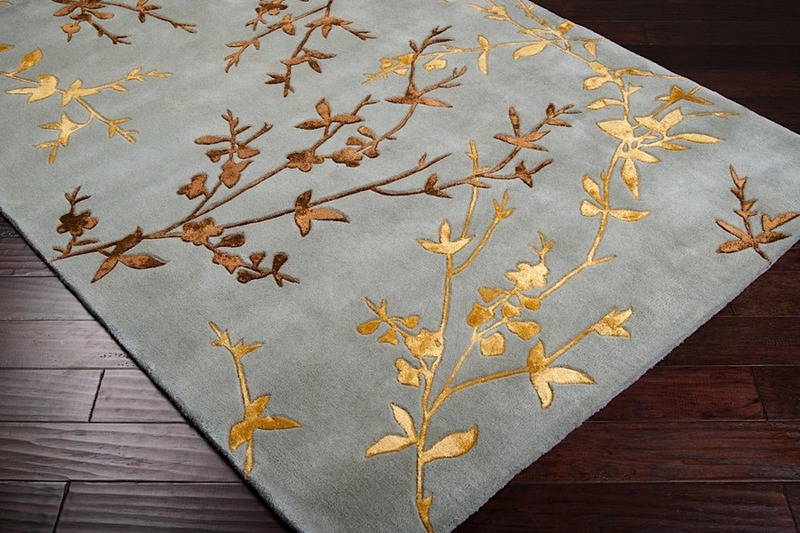 The rug is made with 100% wool and viscose and is hand tufted. 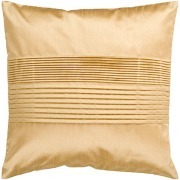 The pile height is 0.625". 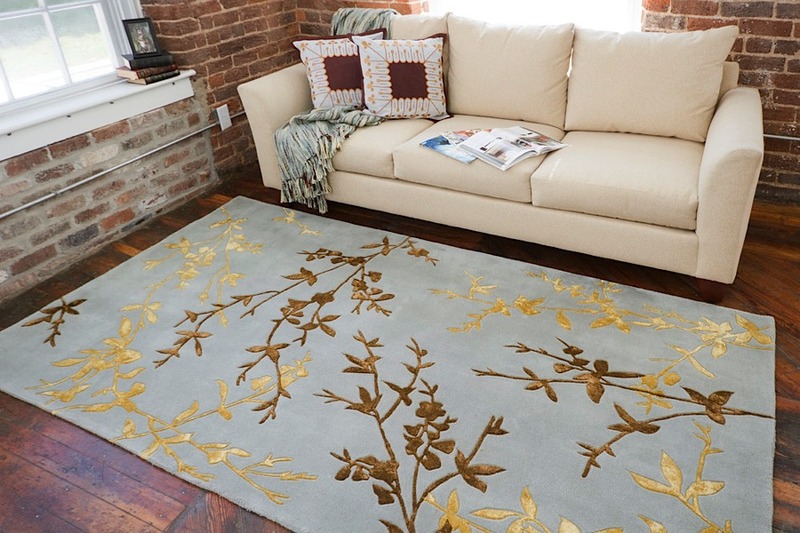 The colors in the rug range from spa to golden brown to gold.